It turns out, it really went well in my opinion. Battery life – I would say it was OK as I didn’t expect too much on this from the start and have used 4 out of 6 batteries that I carried with me with a total of 2,800 shots over the course of 8 day mountaineering. So the battery actually did twice as good as the Sony officially says that it is 340 shots per charge when LCD screen is used. Timelapse application – this is my most concerning part of all and I wasn’t sure if I was going to like the Timelapse app from PlayMemories as I never used this app and didn’t have a good impression when I played around after installing the app first time, however, there was no need to worry too much about. I started really liking the app after a few tries as it was very easy to use, intuitive and all the information I needed was displayed in the LCD screen including how many shots have been taken, how many shots are left, how many seconds (minutes) have passed and how many more seconds (minutes) it will last. I also liked that pushing the Menu button would pause the action and so that I could go back to the settings and change some then start shooting again. I thought this was really neat. The Sony α7R II + Zeiss lens combo – wow I really like the color rendition of the Vario-Tessar T* FE 16–35 mm F4 ZA OSS and details that the Sony α7R II sensor could capture. Though, I noticed in post that I somehow missed to adjust exposure correct in some shots and discovered that highlights in those pictures were blown out and ugly. I was careful point in time not to blow out highlights as it is more difficult to recover it from those over exposed pictures. I don’t usually use the exposure compensation dial and I never used it with the Nikon D810, but maybe I need to with the Sony α7R II. More experiments needed I guess. As for the GH4, it is again pleased me 🙂 I mentioned somewhere sometime ago and I say again that the GH4 is a very good camera for timelapse photography for the size, weight, ergonomics and battery life are perfect match for my need. 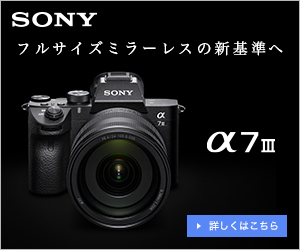 Dynamic range and sharpness are not as good as that of the full frame cameras such as the Sony a7R II or the Nikon D810 but the GH4 could cover, with the two lenses, the ranges from 24mm to 200mm and I cannot do the same with the Sony or Nikon without carrying an extra weight. Well, there is the Sony FE 24-240mm F3.5-6.3 OSS and once considered replacing with the Panasonic, but now it is less likely going to happen especially after watching the RAW files from this mountain trip and other factors mentioned above. I don’t recall if the Nikon ever produced the sunburst like this one. I like it a lot. This is one of the shots I really liked. Lucky that I was here at the right moment. The GH4 did a great job here. I like this composition and the 3D look.